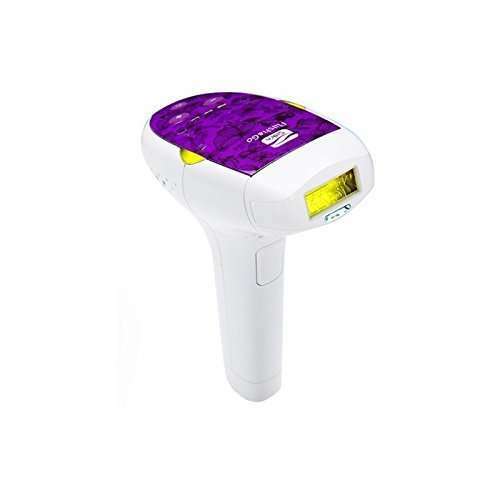 If you are looking for an efficient and relatively cheap laser hair removal device the Silk’n Flash&Go should be your choice. This was my first choice, as well, in buying a laser hair removal to be used in the comfort of my home. Why did I choose this product over others? Well simple, first, because of the cost of it, it is budget friendly and didn’t want to spend too much money on my first experience with a laser hair removal and second because I have sensitive skin. The Silk’n Flash&Go it’s safe to use on sensitive skin because it uses pulse light technology that emits gentle light pulses and targets hair follicles at the root to disable future hair growth. The innovative technology used on this device called home pulsed light ( HPL), offers two level of safety. One sensor that detects if the machine is safe to be used on your skin and the other mechanism prevents the machine from firing if there is direct skin contact. Easy to use and painless: that was a very pleasant surprise for me, the flashes of light used on my face and body were not painful for me – even on the highest setting, so that’s a big plus for me. No skin discolouration at all, even when I increased the power to the highest level where I could feel it popping my skin. Visible results after the first sessions – on my upper lip I’ve seen results after the 2 sessions where the follicle was damaged effectively as my hair fell out after 10 days or so. I continued using SILK’N FLASH & GO device every two weeks and after 2 months I am a happy woman with no moustache. On large areas, like my arm pit, where the hair is much stronger, it took more time to get rid of the unwanted hair but still had an amazing progress. When I used it on my legs, the process was slower, due to the large area, it took 30-40 min per day to finish the sessions, and the results came after couple of months using it. The hair on my legs doesn’t grow so much and so fast anymore, it now grows in pretty patches but there are areas where I have no longer hair growing. But according to Silk’n hair removal clinical study you must use the device at least for 6- 8 months to see the hair reduction results. The design, helps you get into small areas really easily, so I can say it’s perfect for small areas. Used properly and following the exact instructions, this home hair removal machine really does the job. To avoid getting burned follow the directions and warnings and go trough the settings one at a time. It will consume more time but, yet again, better be safe than sorry! It is suitable for both women and men, but for men I would say it can be used only on the face or chest where the hair isn’t very thick. Things I Don’t Like about Silk’n Flash&Go. You need to buy replacement cartridge when the initial one it’s consumed, you can buy it from here or you can buy it directly with a bonus cartridge from here . 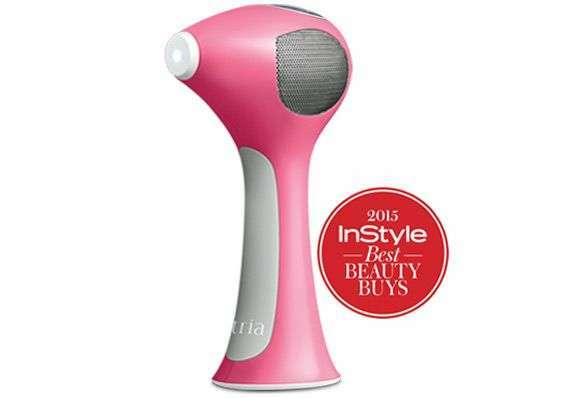 Who should not use this Silk’n Flash&Go hair removal device? If you have tanned skin or dark skin then this device isn’t suitable for you. Also if there is a lack of pigment in your hair, meaning your hair colour is grey, blonde or red, then again this device isn’t recommended for you. But don’t worry, someone thought of you as well, find the product for all skin type here . Even though the Silk’n Flash&Go hair removal device was launched some time ago, it is still one of the best hair removals for sensitive areas on the market. What do you need to know about this system is that you have to be patient and constantly using it because the hair will grow back after a few treatments, so don’t get disappointed just keep using it again and again. Over time, you will notice how the follicle it’s damaged to the point it’s slows growth, puts out a finer hair, and then, after months, stops to grow a hair at all. I got my results by being patient and rigorous in using the Silk’n Flash&Go. I highly recommend it, especially if you have sensitive skin like me. And once again, don’t expect results right away, be patient. UPDATE : Silk’n upgraded the Flash and Go product with the Silk’n Flash & Go Luxx. This new device doesn’t require a cartridge replacement, which is a massive bonus in the long run, because it will be cheaper. The Flash and go Luxx offers a lifetime package with 120,000 pulses, while the initial Flash & Go was equipped with 5000 pulses. I haven’ tried the Luxx yet but I assume they do the same job, the only difference is with the refill cartridge and the price. The Luxx is more expensive than the initial Flash and Go, for the second one you must buy replacement cartridge. So. in the end, it’s your decision if you want to spend more money at once, or go for the first Silk’n Flash&Go device and buy replacement cartridge when and if you need them. Where you can find the Silk’n Flash & Go Luxx?